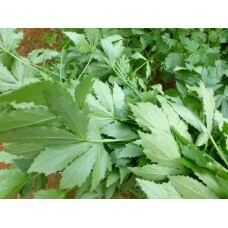 Sorrel Leaves(Gongura White) Leafy Veg Seeds. Sorrel Leaves is easy to grow in any type of vegetable garden. 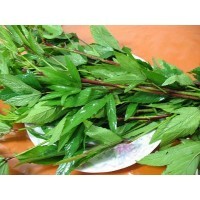 Though Sorrel Leaves prefers a mild climate and will not do well in extremely hot temperatures, it does like full sun. It can be grown well in all kind of soil. The Optimum pH range between 6.5 and 7.0. Sow your seeds 12-14 cm apart at a depth of 1⁄2inch (1.3 cm). Sow the 2-3 seeds per pit and thin the seedlings to 1. Seedling takes place within 4-6 days from the date of sowing. Harvesting of Bottle gourd can start after 6 to 8 weeks of sowing. Don’t wait too long to harvest, or wait for larger leaves; bitterness will set in quickly after maturity.